This article was written by Katie Vaughan and originally appeared in the Portland Monthly 2017 Kids’ Health Annual magazine as part of a larger series on independence. 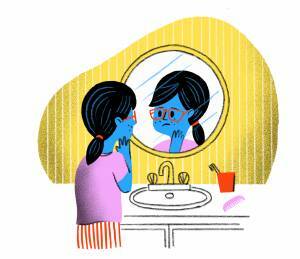 When it comes to confidence, children and teens have a particularly difficult time overcoming issues with their bodies: acne, weight gain, developing later or earlier than peers, etc. “Adolescents experience dramatic physical changes at a time when their emotions are elevated and they’re extremely relationship-focused. It’s a lot to deal with,” says Dr. Ajit Jetmalani, a child and adolescent psychiatrist at OHSU Doernbecher Children’s Hospital. A negative body image can sometimes lead to more extreme diagnoses, like eating disorders and depression. In these cases, parents should certainly consider professional help. Luckily, kids can start combating negative body issues before it reaches a critical level. Encourage your child to think about their body with compassion. 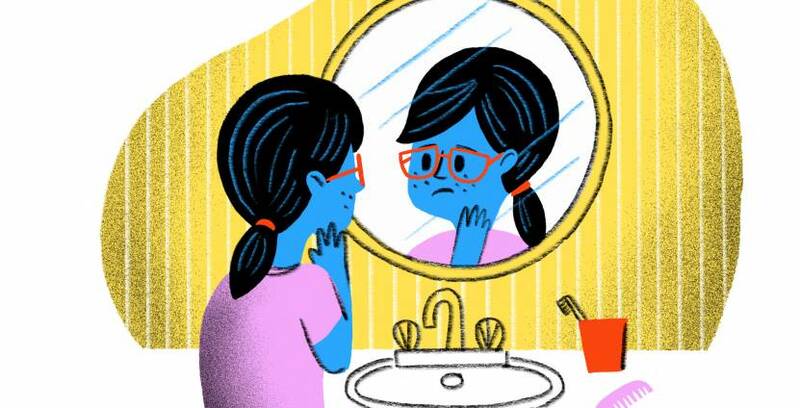 When they critique themselves internally, remind them to ask, “Would I talk to a friend that way?” Dr. Jetmalani emphasizes that health and appearance are not the same thing, and encourages kids (and adults!) to think about what their bodies can do, instead of how they look. It takes practice, but this kind of mindfulness can make a big impact on body image throughout our lives. As a parent or caregiver, be thoughtful of how you speak about your own body or others’ bodies. Do you often critique your weight or appearance? Most of us do it without realizing, and kids will learn those behaviors. You don’t have to censor every word you say; just maintain an open dialogue with your children and make it clear that you’re their ally when it comes to body issues.